Premium luxury chalet just 300m from the ski schools and the main Chavannes Express chairlift. That's unbeatable access to Les Gets skiing, not to mention the resort's many bars, shops and restaurants. Witness four-course evening meals prepared before your eyes by Head Chef Raphael who has worked in some of Europe's top kitchens. An all-inclusive drinks package is included for guests staying in this, our flagship luxury chalet. Sauna, outdoor hot tub, and a premium location right in the centre of Les Gets village, as well as a #1 ranking on TripAdvisor bring guests back to Chalet Du Coin year on year. The location and facilities of a high-end luxury chalet, but with a price tag that works for all. For the 2019-2020 ski season, Chalet Du Coin is being fully rebuilt from the ground-up. The even higher specification of the new chalet will make this dream property more desirable than ever. Premium facilities without the hefty price tag. This chalet has a hot tub and sauna, plus a spacious boot room and is ensuite throughout. The middle-floor balcony offers commanding views across the valley. The chalet location is a perfect balance: more confident skiers can easily ski-out just 150m from the chalet while still enjoying the calm of being a few minutes' walk from the village centre. For beginners, a free shuttle bus stops two minutes from the front door. Fully renovated for winter 2018-2019. A spacious five-bedroom chalet in Les Gets resort centre, The Alpine Loft is bookable by the room or for exclusive use. Two large family suites make this property extremely popular with parents as well as groups of friends looking to bunk-up and save money. An amazing village-centre location. Just 300m to the main ski lifts and ski schools, as well as the resorts shops, bars and restaurants. This placement offers fantastic access to Les Gets while still being quiet and peaceful at night. Hugely popular with returning guests, La Rocade keeps people coming back for the great facilities and fantastic location. Reviews often mention the outdoor hot tub, the secure ski room with boot warmers, the cosy log fire and the two spacious living areas where guests can spread out and relax. The location offers something for everyone. Experienced skiers can jump straight on the Perrieres Express lift and be skiing into "The Bowl" 10 minutes after breakfast. For beginners, the bus stop is literally right outside the front door: A five minute journey delivers you right to the ski school and main lifts. Chalet Le Replan centres around a large open-plan living area with a cosy wood burner. Four large bedrooms provide comfortable space for up to 11 guests. In a quiet part of the resort, just 100m from the skiing for more experienced skiers. For beginners, the bus stop is even closer. It's a pleasant 12-minute walk to the village centre. The very best village centre location. It doesn't get any more central than this. 70m from the Mont Chery telecabine lift, and 200m from the ski school and main Chavannes chair lift. One of two virtually identical sister chalets right in the very heart of Les Gets. Ideal for a small or mid-sized group. Larger parties can book both chalets: they're literally joined in the middle. Chalets don't get any more central than this. 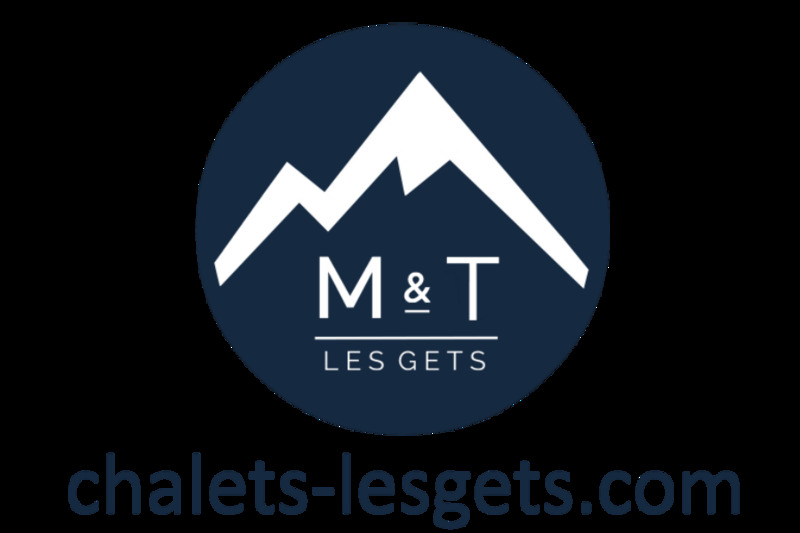 Alongside its sister-chalet, Negritelles 2 is situated just 70m from the Mont Chery telecabine lift, and 200m from the ski school and main Chavannes chair lift. This is one of a pair of mirror-image sister chalets, located right side-by-side in the very centre of Les Gets village. Identical in almost every respect, the only real difference is the number of beds. This chalet accommodates 10 guests, while next door sleeps 9. Perhaps the most convienient location Les Gets has to offer. Just from the nearest lift and from the main ski school. Ideal for those who want everything right on their doorstep: the ice rink (the central point of the whole village), shops, restaurants, the tourist office, childcare facilties, ski school, ski lifts. It's all right there. A spacious middle-floor apartment with the facilities and comforts of a full chalet. A cosy log fire to warm the toes, access to the outdoor hub and a ski room with boot driers. The location is a perfect compromise: a quiet location with great access to the skiing and a bus stop right outside, plus a shop, a bar and a restaurant all within 100m. Experienced skiers can jump straight on the Perrieres Express lift and be skiing 10 minutes after breakfast. For beginners, the bus stop is literally right outside the front door. Five minute journey. An apartment that's as big and spacious as a catered chalet. Ideal for a group of up to eight guests, this self-contained top floor apartment boasts all the facilities of a catered chalet. Among the most popular are the outdoor hub and the ski room with boot driers. With a shop, a bar and a restaurant all within 100m, the location is as popular as the apartment itself. Quiet but very convenient. Experienced skiers can jump straight on the Perrieres Express lift and be skiing 10 minutes after breakfast. For beginners, the bus stop is literally right outside the front door (an effortless five-minute journey). A dream for small groups and families. Ambre Blanche is a two-floor, three-bedroom apartment. The apartment is stylishly decorated with vintage wood and quality fittings and furniture. Situated just off the main shopping street of Les Gets and only a few hundred metres from the main ski lifts and ski schools. A great location for anyone who values access to the resort centre and the skiing. The apartment is located in the centre of Les Gets village. Although situated just metres from the central hub of Les Gets, this location remains quiet throughout the night times. Decorated in a luxurious Scandanavian style, the apartment boasts tasteful contemporary furnishings throughout. The wood-burning fire on the ground floor makes for a wonderful focal point. With four spacious bedrooms spread across three floors, Hermitage 1 is ideal for two families or a medium-sized group of friends. A charming and conveniently located ski holiday apartment in the middle of Les Gets. This property is very popular with small families or groups of adults looking for the best value. Situated just 50m from the main ski lifts and ski schools, this apartment could not be more ideally located. No long treks in your ski boots and, in the evenings, the resort's bars and other amenities are right outside. A brand-new, split-level apartment in the very desirable 'La Turche' quarter of Les Gets. This modern three-bedroom property is popular for its attractive ski-in/ski-out location. The famous Les Gets 'Bowl' is accessible not only via a drag lift which is situated right outside the front door, but also by skiing down the Perrieres chairlift below (some poling required). Maroussia Apartment 1 accommodates six people across its three comfortable bedrooms, making it ideal for families and groups of friends alike. Ski-in-ski-out, the apartment's ground-floor patio doors open out onto a terrace which overlooks the piste itself. A great ski apartment for small families or small groups.